Washington: Turns out, carbon dioxide can be beneficial in reducing belly fat. 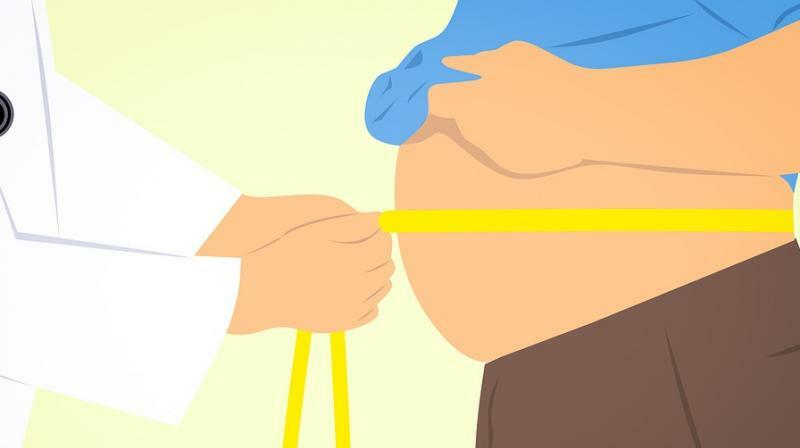 According to a study conducted by the Northwestern University, carbon dioxide gas injections (carboxytherapy) reduce belly fat. However, the changes were modest and did not result in the long-term fat reduction. "Carboxytherapy could potentially be a new and effective means of fat reduction," said lead author Murad Alam. "It still needs to be optimized, though, so it's long-lasting." The new technique's benefits were that it is a "safe, inexpensive gas, and injecting it into fat pockets may be preferred by patients who like natural treatments," Alam said. "Non-invasive fat reduction has become increasingly sought-after by patients." Benefits of a non-invasive approach are diminished downtime, avoidance of scarring and perceived safety. Current technologies routinely used for non-invasive fat reduction include cryolipolysis, high intensity ultrasound, radiofrequency, chemical adipocytolysis, and laser-assisted fat reduction. Carboxytherapy has been performed primarily outside the US, with a few clinical studies suggesting it may provide a lasting improvement in abdominal contours. The way carboxytherapy works are not well understood. It is believed that injection of carbon dioxide causes changes in the microcirculation, and damages fat cells. No randomised controlled trials for carboxytherapy efficacy and benefit over time have been previously conducted. The purpose of this study was to assess the effectiveness of carboxytherapy for fat reduction in a randomised, controlled trial, and to determine if any observed benefits persisted for six months. The study consisted of 16 adults who were not overweight (body mass of 22 to 29) and was randomised to get the weekly carbon dioxide gas injection to one side of their abdomens and a sham treatment on the other side once a week for five weeks. A high-resolution ultrasound detected a reduction in superficial fat after five weeks but not at 28 weeks. The patients' body weight did not change over the course of the study. That the difference was not maintained at six months suggests the treatment stimulated a temporary metabolic process that reduced the size of fat cells without inducing cell death, Alam said. "If carboxytherapy can provide prolonged benefits, it offers patients yet another noninvasive option for fat reduction," Alam said. "But we don't feel it's ready for prime time." The study appears in the Journal of the American Academy of Dermatology.